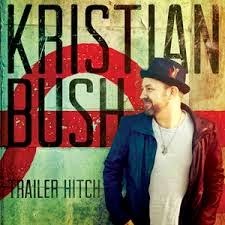 Kristian Bush, formerly of Sugarland, is pursuing a solo career and his debut single is “Trailer Hitch”. It’s a very funny song with a good message. The message being “You can’t take it with you when you go, so give it away!” It’s both an uplifting and revitalizing song, not only lyrically but instrumentally, the tune is catchy and bright. I already can’t wait to hear this song more often! It’s a good song for any occasion, but I can see a summer day having a drink with friends with the sun shining and enjoying what you have and who you have. The more I hear Kristian Bush sing, the more I wonder why we haven’t heard Kristian sing more. I can now say that I’ve loved every project he’s done between his Sugarland days and now his solo career. Jennifer Nettles is an incredible vocalist, I hope if they work together again they’ll do more of trading lead vocals back and forth. How can you not love a song that starts with “I’m going to buy you a drink and maybe one for this whole town”? This is definitely not like anything on country radio right now. Between his vocals and songwriting, it’s nice to hear a song that’s a little different with such a positive message. I can’t wait to see what’s next from him, but I have a feeling that he’ll be making a cozy little home at the top of the charts and sticking around for a while with this one!